A visit to ZSL London Zoo is much more than just a walk around our fascinating exhibits; it’s a trip through time. Our history tour is a fantastic addition to a trip to ZSL London Zoo. Visitors will journey through the Zoo with an experienced guide, hear stories of how ZSL helped inspire Charles Darwin’s ground-breaking work, follow the friendship of Winnie the Pooh and Christopher Robin, discover the history of the many Grade I and Grade II listed buildings at the Zoo, and much more. Tours will be conducted on the selected Saturday and Sunday mornings, advanced booking is essential. The program will begin with a welcome, followed by a 45 minute guided walking tour around the Zoo. Visitors will then have the rest of the day to explore the immersive exhibits at their own pace. Bookings can be made online following the links below. Please select one of the dates of the History tour above to purchase your general admission first, and there will be an add-on option for £5 for the History Tours. * Price does not include Zoo admission, this will need to be purchased in addition to your History Tour ticket in order to take part. ZSL now offer private bookings for our History Tour. Open to groups of up to 20 participants this bespoke experience is bookable at any time during Zoo opening hours (depending on availability) and costs £200 per tour*. General admission ticket or valid membership per person must be purchased to be allowed entry into the zoo and take part in the History Tour. Maximum of 20 participants per tour. 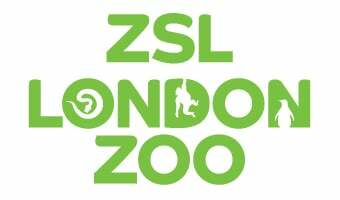 Cancellations: ZSL reserves the right to alter the tour or cancel on any given day if necessary. We will endeavour to contact you via email at least 24-hours before your visit to notify you of any changes. We recommend checking your emails on the day before your visit in case we have emailed you. If these changes result in you missing the encounter or you are no longer able to attend, please contact us to discuss options. Turning up late will invalidate your ticket and will not be refunded. Bookings cancelled up to 14 days before the date will be eligible for a full refund. Thereafter changes will only be accepted in exceptional circumstances at the discretion of ZSL.